Sufficient, age-appropriate practice time on a regular basis is the surest guarantee that students experience consistent progress. Learning the necessary skills to become a proficient musician will not occur just by attending a lesson or class. It takes committed, regular practice to assimilate skills introduced in the lesson. In lessons and classes we will study all sorts of seemingly bizarre methods to learn music – isolation, "prioritization", upside-down, play-back, under-water, 2Fast-2Slow-2Fast-Normal…just to name a few! While they may sound strange and you may suspect your student is goofing off, these are legitimate techniques to learn the first essentials skills in both physical coordination and music literacy. Mastering these building-blocks will give students the ability to both read the music and plan ahead with enough time to get their fingers and/or voice in the right place. The techniques also begin to -establish a sense of comfort and musicianship. There are so many special features we can add to music, like a magician's bag-of tricks. Beginning students quickly learn how to play slow or fast, loud or soft, high or low, and by changing up a song, they can make it sparkle in a unique way, showing-casing their interpretation of the composer's 'blue-print'. More advanced students of course have a even more tricks to choose from! Included in practice time is the expectation that students attempt to complete any theory, composition, sight-reading or other assignments. Of course, any questions or clarifications will be addressed at the next lesson. It’s the attempt that matters! Assignments ARE part of practice sessions, and are just as important as practicing songs. Listening, especially for the youngest students, should initially be sitting down with parents (eyes closed) and listening to age-appropriate music somewhat similar to what your student is learning – even nursery songs and lullabies are relevant. As the student progresses, so will their listening, branching out to learn about many different styles, instruments, and musical eras. Students may even have a CD corresponding with their song or theory workbooks. Students might be given specific listening assignments to complete. 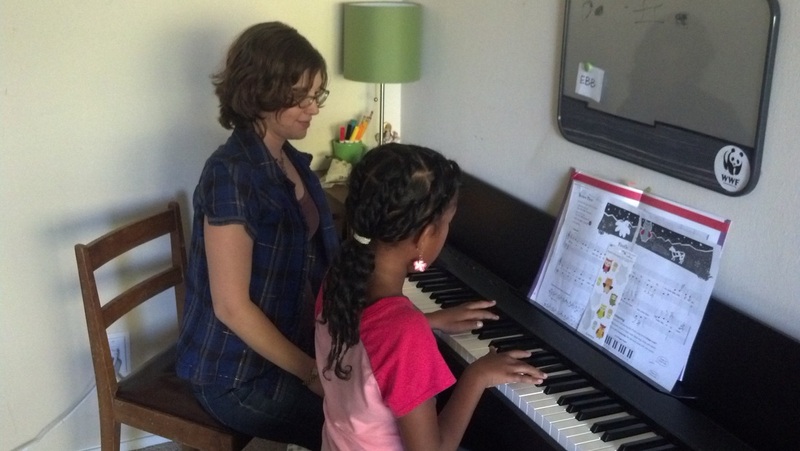 “Free Play” is an open-ended “lab” for students to experiment with their instrument. I will often ask students if they discovered anything new as a result of this free time. Most students inadvertently develop a new technical skill! This not only allows them to progress more smoothly and rapidly, but also gives them a sense of self-learning. 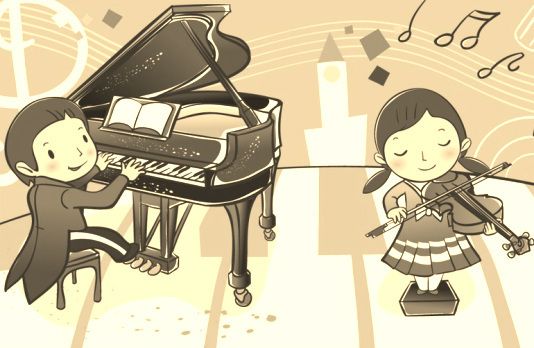 A second aspect of “Free Play” is character development – students pretend to be a rock star, maestro, etc. and perform something ‘stellar’ on their instrument. It may sound like banging, but this mild headache for you allows students to develop and then internalize a performance attitude. This in turn often prevents stage fright, teaches students to ignore mistakes, and eventually gives them the ability to perform perfectly, regardless of distractions. Again, “Free Play” should be a regular part of practice sessions. It’s even more effective if family members occasionally join in. This could be as simple setting up a stuffed animal audience, or could be as involved as starting a “band” -- banging on pots, strumming a guitar, anything really -- to “perform” with your musician. Let YOUR inner rock star loose! Several yearly performance opportunities are available. These semi-formal events are festive affairs, celebrating the hard-earned accomplishments of all students, regardless of their performance level or length of study. Everyone has something to share and music to celebrate! Students thinking to perform at recitals are encouraged to participate in seasonal Performance Parties – these are casual performance-based classes where students share their repertoire, learn to manage performance anxiety, and are coached through common distractions (such as coughs, sneezes, talking, flash-photography, etc.). Students will furthermore both give and receive teacher-moderated peer reviews. 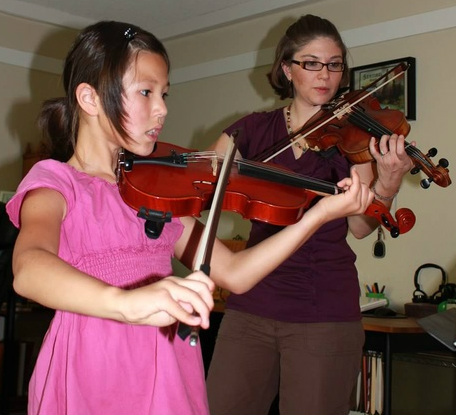 * Another option for preparing students, especially youngsters or beginning musicians, is to set up mock-recitals at home with close friends and family. For the wee-ones, it's often best to first prepare by playing for stuffed animals and/or favorite toys or dolls. S.T. learning "Firefly". Photo courtesy of Rohit D.
P.D. demonstrates excellent posture and beautiful hand positions, even while sight-reading her new piece! Photo courtesy of Rina T.